“…few or no materials of any sort…, for construction…, existed….the wood…was standing in the forests; the iron for the cannon lying in its natural bed; and the flax and hemp…, in their seed.” Secretary of War Henry Knox to the House of Representatives, concerning the construction of the six frigates, 29 December 1794. Since 1797, when USS Constitution was launched, “the best white oak” (as stated by Secretary of War Knox) of sufficient size and clarity has been a paramount concern for the survival of the ship. With each 20th century restoration, obtaining solid wood hull planks and ships’ knees has become increasingly challenging. Nearly two generations and three restorations ago, white oak trees at the Naval Facilities Engineering Command (NAVFAC), in Crane, IN, were designated for USS Constitution. At the time, as the 1973 work on the ship began, the U.S. Navy noted: “Seasoned white oak,…needed in the…overhaul of…CONSTITUTION, was difficult to…procure.” Capt. Vernon P. Klemm, USN, suggested that the Navy grow its own white oak for Constitution. On May 8, 1976, CDR Tyrone G. Martin, Constitution’s commanding officer, and H. Robert Freneau, Secretary of the Navy Special Assistant, dedicated the ceremonial “Constitution Grove” at Naval Support Activity (NSA) Crane, Indiana. 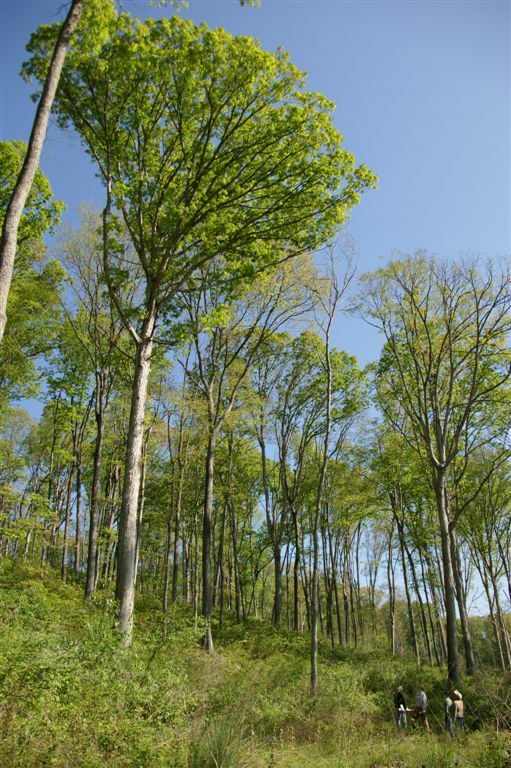 One hundred and fifty white oak trees spread over the 64,000-acre base were designated for Constitution. In April 2012, Naval History & Heritage Command Detachment Boston Production Manager Robert Murphy and Ship Restorer Foreman Dwight Demilt visited NAVFAC Crane to assess trees for Constitution’s 2015-2017 restoration. Of the 150 GPS-located mature oaks set aside, 70 were examined. Murphy and Demilt chose 35 trees that will replace 30-40 foot-long rotted hull planks. The trees must be cut at specific times of the year as NAVFAC Crane is also home to the endangered Indiana Bat which nests under bark and in hollowed out trees during the summer. Constitution’s white oaks were harvested on February 20 and 21, 2014, and are being stored in NAVFAC Crane until needed in Boston.